3. Do Capital Gains Affect My Unemployment Benefits? Ideally, if you're investing in the stock market, you'll see the stocks you own go up in value. But if you invest for long enough, it's likely that you will see at least some losses. You can sell stocks that have lost value for a tax deduction, especially against gains from selling other stocks. Timing your stock sales right can save you money when you file your taxes. Buying stock can be a good way to invest in a fraction of ownership in a company, potentially receiving a share of its profits as dividends or selling the stock later on for a profit. You can buy and sell stock through a stock brokerage, and many online brokers offer low or even zero fees to buy and sell stock. Shop around for a brokerage you trust and that offers a fee structure you like. You might also search for one that offers additional services you want, whether it's investment advice, access to specialized investment funds or research tools to help you pick the stocks you want to buy. You can also, in some cases, invest directly in a company through what's called a direct stock purchase plan, which means buying stock without a broker by working directly with the organization issuing it. In some cases, this may mean lower prices or fees than using a traditional broker, so it can be worth checking if it would be beneficial to use such a plan for your investments. You may also be able to buy stock in your employer, often at a discounted price, through an employee stock purchase plan. See if your employer has such a program if you are interested in investing. If you sell stocks or other investments for more than you paid for them, this is generally taxable by the Internal Revenue Service. If you've held on to stocks for a year or more, you can pay tax at the long-term capital gains rate. The federal rate is generally 15 percent, although some taxpayers will see a rate of 0 percent or 20 percent depending on total overall income. The long-term capital gains rate is generally lower than the rate the same person would pay on ordinary income, such as from work. If you hold on to stocks for less than a year and sell them, any gains are taxable as short-term capital gains, at your ordinary income rate. This can be a consideration in deciding when to sell stock, especially if the one-year mark is approaching. If you sell stock at a loss or hold on to it as it becomes worthless, such as through a corporate bankruptcy, you can claim a capital loss on your taxes. A capital loss can offset stock gains or any other capital gains in the same year or up to $3,000 in ordinary income. You can also rollover capital losses into future years to offset capital gains or ordinary income until the loss is exhausted. Since you can roll capital losses to offset future gains and income, but you can't roll them back, it's often advantageous from a tax perspective to balance a gain with a loss in the same year. Offsetting capital gains may motivate you to sell stocks at the end of a year in which you've seen a gain. This is sometimes known as tax loss harvesting, and some brokerages will give advice or even automated tools to help you maximize your tax savings this way. This principle, however, is simple: Search for money-losing investments in your portfolio and liquidate some or all of them the same year you have a gain, so that you can pay less capital gains tax. In some cases, you might want to sell stocks to trigger a loss for tax purposes, but you're still interested in investing in the securities long term, so you may plan to repurchase the stock after selling it. In that case, you need to take note of the IRS wash sale rule, which takes effect if you buy and sell the same or substantially similar securities within a 30-day period. 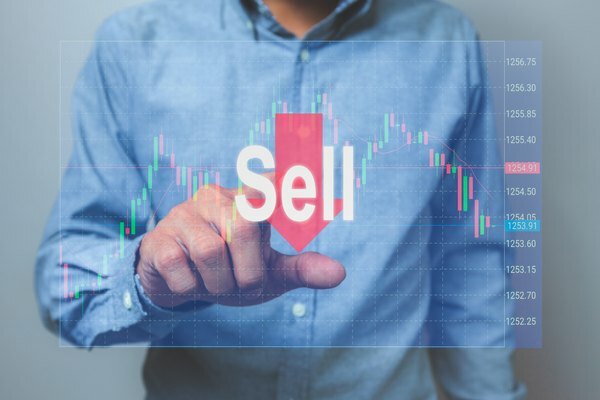 Effectively, the rule says that if you sell the stock for a loss and repurchase it within 30 days before or after the sale, you can't claim the loss on your taxes. Instead, you can add the loss to the effective purchase price, or cost basis, of the new shares, letting you deduct the loss when you finally sell the stock for good later on. This means that if you're planning to sell stock to claim a loss, then repurchase it, you need to either wait more than 30 days or find an alternative way to invest your sale proceeds. If you have stocks in a retirement portfolio in a tax deferred account such as an individual retirement arrangement or a 401(k) or 403(b) plan issued by an employer, the rules around taxes are different. Generally, you will not pay capital gains tax or any other tax on stocks, bonds, funds or other securities as you enter and exit positions within the account. Instead, when you withdraw money from the account at retirement age, you will pay tax on the money you withdraw at your current ordinary income rate. If you withdraw money before retirement age, which is generally 59 1/2, you will often face an additional 10 percent tax penalty from the IRS. Certain exceptions apply, such as if you're withdrawing the money for certain medical expenses, for educational expenses for yourself or your family or, up to a $10,000 limit, to buy your first home. Further, if you inherit an IRA, special rules apply about when you can withdraw money without penalties. The money you put into an IRA or 401(k) is generally not taxed, meaning that you can defer your tax liability until you retire, when you'll often be in a lower tax bracket. Once you reach age 70 1/2, you generally must withdraw a minimum amount of money from such accounts every year according to amounts published in IRS tax tables, or you will face a hefty tax penalty. You might plan to start making withdrawals sooner, before these so-called mandatory minimum distributions take effect, to avoid paying more in tax than you would by optimizing your withdrawals. Other retirement accounts, called Roth IRAs and Roth 401(k)s, work differently for tax purposes. Investors pay income tax as usual on money they put into such accounts when they earn it, but when they withdraw money from the accounts in retirement age, they do not have to pay any additional tax, including on market earnings. If you withdraw proceeds early, you will owe a 10 percent tax penalty plus ordinary income tax. This can be advantageous if you anticipate making a lot of money on your investments in your retirement account or being in a high tax bracket when you reach retirement age. You may also make choices about what investments to make in various retirement accounts versus in your ordinary brokerage account based on expected tax ramifications. What Are the Taxes on Selling Stocks? Is it Better to Sell My Stocks That Have Dropped in Value Before or After the New Year? How Late Can Stocks Be Sold Without Losing Dividends?